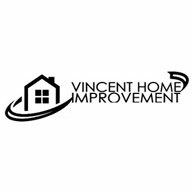 "They Were Prompt, Helpful, Friendly And Explained Everything They Did Clearly And Confidently"
"Friendly,Polite, And Full Of Good Advice. I Felt Very Safe And Confident While He Was Here." "A Very Good Job Done By A Very Professional Engineer"
"Prompt And Very Swift At The Required Job"
"Prompt,Friendly, Efficient, Tidied Up, Good Job Done"
Need a Painter & Decorator, Tiler, Plasterer, Heating Engineer or Plumber in Portsmouth?